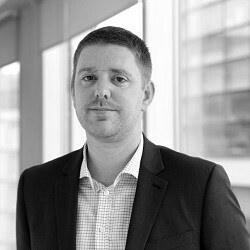 Tim is an Associate Director with Arup UK in Manchester, leading its Digital Services business in the North, and his team in Manchester helps clients to fund, manage and deliver programmes that help cities function and grow. Arup is an independent firm of designers, engineers and technical specialists working across every aspect of today’s built environment, shaping many of the defining urban projects of the modern era and leading the thinking on cities. Tim’s background is in aviation, having worked on major airport development programmes across the world. Tim sits on a number of industry boards and Digital bodies across the UK, including the Mayor of Greater Manchester’s Digital Infrastructure Group, is a Fellow of the Chartered Institute of Management and has an MBA from Manchester Business School. He is passionate about digital innovation in the Built Environment and its ability to improve the lives of citizens and organisations and the adoption of Smart City concepts.